This was a lot easier than I thought it would be. Create this easy faux birthday cake for your next celebration and save some money to put into other areas of your party. This post contains affiliate links. Thank you for your support. 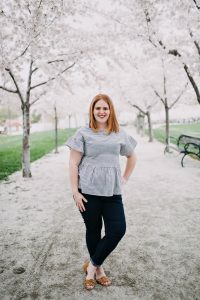 Leila turned 8 this past May and was baptized in the LDS church. She wanted to have a mermaid theme party and I had a cake/cookie lady all set aside to make amazing decorative food for us. Unfortunately, about a week before the party I found out she was expecting and was super sick. I had empathy for her because I had been in that same sick position almost three years ago. I called around to try and find someone who could do similar work and they were charging a lot more than she was and so I just decided I’d make a faux birthday cake and then we could just make some guava cakes to serve. Do you love llamas? Are you obsessed with them enough to have a llama party? I’m going to show you how easy it is to create custom llama party items using some stamps from Newton’s Nook. Learn how to make this fun water bottle party tag below using your Cricut. Be sure to learn the giveaways below. This post contains affiliate links. Thank you for your support. Having a llama themed party can’t happen without some sort of enamel pin. I found these super cute pins at my local Hobby Lobby and attached them to the gift tags for a perfect llama party favor. You’re going to begin by making these easy pom poms with this tool. You can easily use a piece of cardboard to make them but I like this tool because it comes in three different sizes. I used some DMC embroidery floss to make the pom poms but use what you have on hand. Be sure to leave a long tail so that you can tie them on the neck of the water bottle. Download the watercolor background and load it on to your Cricut mat. You’ll cut the bottom overlay shape out of this and then you’ll cut the water bottle party tag with your acetate. I’ve made the file in Cricut Design Space. If you have a Silhouette, you can easily find this shape in their store as well. Just be sure to add a small circle, about.1″, so that you can add your llama enamel pins to it. Use your Newton Nook Loveable Llamas stamp set and some black archival ink and stamp your designs on your overlay. Use your Xyron Mega Runner and attach the overlay to the acetate paper. The file includes a score line so fold it there and just put it over the cap of the water bottle. Use the pom poms and have the longer string tie around the neck of the water bottle. These water bottle party tags are perfect for your next llama party and the perfect llama party favor. For the giveaway, there are two! Head to Xyron’s Facebook page and enter on their posts there. Then head to Newton’s Nook blog to enter there for a chance to win a $25 gift certificate. Who’s excited to see the new Incredibles II movie? I know I am and I can’t wait to see Jack Jack! This chocolate covered Oreos recipe is perfect for an Incredibles Party. Disney/Pixar movies are as good as you can get. This post contains affiliate links. Thank you for your support. Incredibles II hits theaters June 15th and I’m really excited for Malakai to see it. I’ve always loved how the original Incredibles ended because it set up another story. I just didn’t think I’d have to wait this long to see the sequel. This chocolate covered Oreos recipe is perfect for your next Disney Incredibles party. Begin by melting your chocolate melts in 30-second intervals. I like to use this method when I temper chocolate. You’re going to begin by placing a fork into the middle of the Oreo. Dip it into your chocolate melts and then lay it on a baking sheet lined with parchment paper. Once your chocolate has melted onto your Oreos, use the premade black icing and create an oval for the background. 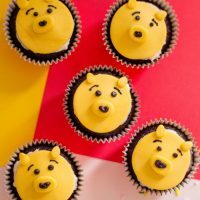 Roll out your yellow fondant and use cornstarch to prevent it from sticking to your countertop. You’re going to cut them into rectangles and then angle the top to have it look like the Incredibles i. Next, lay them on top of the black oval. Use a small amount on to the back of the yellow M&M and place it on to your Oreo above the i. That’s it! It’s so easy to make this Incredibles Party Oreos. Are your kids obsessed with The Incredibles? Plan the most awesome Incredibles Party with these chocolate covered Oreos. Line a baking sheet with wax paper. In a microwave-safe bowl, microwave candy melts and coconut oil in 30-second intervals until completely melted. With the help of a fork, dip each Oreo cookie into melted candy and coat entirely. Place carefully on a lined baking sheet and allow to set. As the candy sets onto the Oreo, prepare yellow fondant shapes. Line a small square pan with wax paper. Lightly cover your work surface with cornstarch and roll out your fondant until they are about ¼ of an inch thick. Using kitchen scissors, cut out small rectangles, about 1.5 inches long. Then snip off the top at a diagonal. 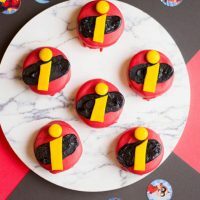 With your black icing, draw out a solid black oval, on a bit of an angle (you’ll want it to look as much as The Incredibles logo as possible). Stick on your yellow candy (this will act as the “I’s” dot and then your fondant shapes. Did you know that you can use your Cricut to make personalized cutlery? Create this personalized mermaid party cutlery for your next mermaid party. This post contains affiliate links. I receive a small commision from your purchase at no extra cost to you. Thank you for your support. 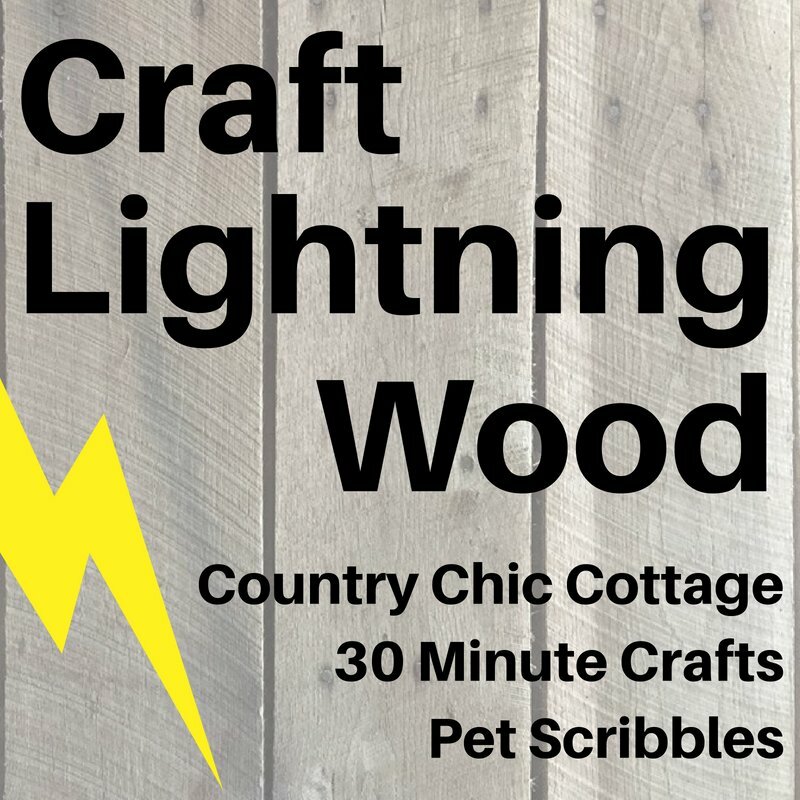 This months theme for Craft Lightning is wood. Just give us some wood and 15 minutes and we’ll have some easy and quick mermaid party decor that will leave your guests in awe. Create custom wood cutlery with some vinyl and your electronic cutting machine. I use a Cricut. I know people have their preferences when it comes to a Cricut or a Silhouette. I’ve owned both. I haven’t used a Silhouette in probably 4 years. I love the design software but the cuts I would get were not great. I recently made these rosettes using some fibrous paper and the detail that Cricut was able to get just gets me every time. I have learned when cutting fibrous paper with my Cricut, I do intricate cuts with it on regular speed. Those stars are 1/4″! Anywho, let’s get back to business. This personalized wood cutlery was super easy to make. I just used some sparkling holographic vinyl and cut it into shapes that were 1/4″ wide. 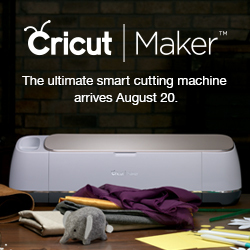 With your Cricut Maker, select it from the main list. 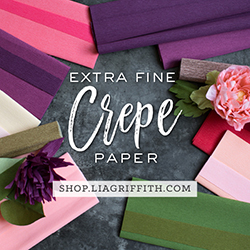 If you have a Cricut Explore, use the vinyl+ setting on your Smart Dial. Make these easy Thor Cupcakes all from an easy cake mix. Celebrate the AVENGERS: Infinity War movie release with these super cute cupcakes. This post contains affiliate links. Thank you for your support. Who has seen the new AVENGERS: Infinity War movie? Better question, who hasn’t? 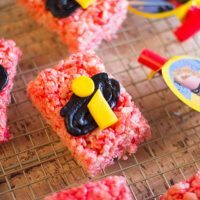 Thor was a huge part of the movie and so I decided to make these Thor cupcakes to go along with my Hulk Rice Krispie Treats or these easy Avengers Cupcake Toppers I made with my Cricut. These Thor cupcakes are incredibly easy to make. Just use store-bought Red Velvet cake mix and follow the directions on the box to make them. One box should yield 24 cupcakes. Allow them to cool completely before adding any frosting or decorations. lustre dust with some water or vodka and paint Thor’s hammer to get them shiny. Next, break the pretzel sticks into the desired size of the base of the hammer and place them inside the middle of the fondant hammer. Place it on top of your cupcake and now you’ve made the perfect Thor cupcakes. 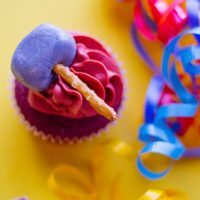 Create these amazing Thor cupcakes for your next Avengers party! Prepare your red velvet mix according to the box’s directions (they usually yield 24 cupcakes). Allow to cool on rack before decorating. Using a stand mixer, start beating butter and slowly add confectioners’ sugar. Add milk and mix on high until your buttercream has formed. In terms of consistency, you’ll want it to form stiff peaks. Add cocoa and red food coloring to the buttercream and continue mixing on high until it is completely colored. Using a piping bag, frost each cupcake. Brush each fondant piece with silver luster. Insert a pretzel stick at the bottom of each one (you may have to break off a piece of the pretzel stick if they are too long). Place carefully on each cupcake.